Kris Jenner's marriage on the rocks? Kris and Bruce Jenner's marriage is said to be over, with reports claiming the couple have been "separated for months". 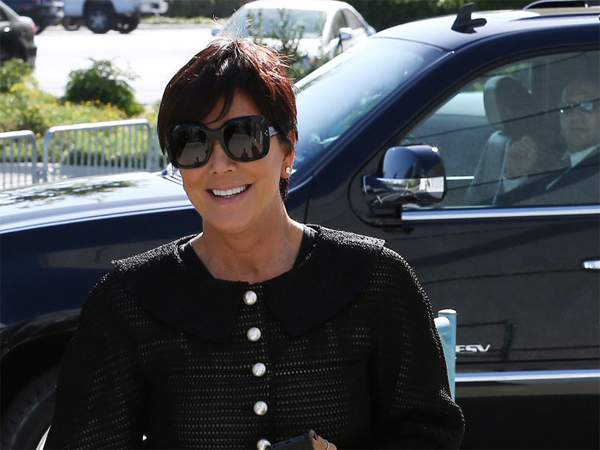 Kris Jenner's marriage is reportedly over. The Kardashian family matriarch's relationship with husband Bruce is rocky, and it’s said the couple ? who’ve been "separated for months" ? haven't made love in years. An insider told In Touch magazine, "They've had problems for a long time and have been separated for months. "They haven't slept together in years and pretty much just have a business relationship at this point. Their marriage is over." The Kris chat-show host has been spotted without her wedding ring recently, but it’s claimed she tried to stop photographs of her without the band being made public. The source added, "There were also promos for her talk show that she wouldn't approved because she realised she wasn't wearing her ring in them. She made sure they never saw the light of day." It’s said Bruce has grown tired of his wife's fame-seeking "antics" and the former track and field athlete feels it’s making him appear "foolish" by association. An insider claimed, "He is so sick of the Kardashian machine and Kris' antics. He knows she's making him look foolish. "This is a man who was called the best US athlete of all time. But he's so broken down. It's like Kris has sucked the life out of him."